Quality and beauty – these are things I look for when choosing personal stuff. When it comes to bags, quality leather is on top of my list. I am so happy when I discovered a homegrown, truly Filipino brand which creates quality, export material, leather bags, belts and accessories and offers leather care solutions as well. The Tannery Manila originated from Hermoso family, a long line of leather makers who started crafting and honing their skills in leather making as early as 1901. Their workshop is located in Bulacan. They started exporting their products since 2007 to various countries like Germany, Japan, Australia, and added local fairs, online selling and private sales until their very first store opened in Tiendesitas. How much would you buy a leather bag? I know some people who would shell out PhP 20,000 to Php 75,000 for it. 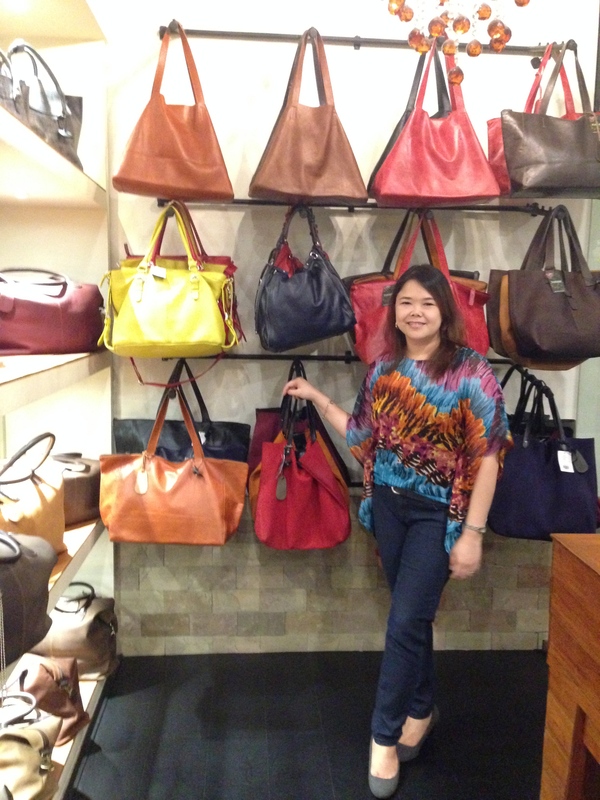 You would be surprised to note that the price range for their bags is P3000 – 9,000 only. A definite steal. 100% Filipino, 100% handcrafted from cow leather with accents of exotic skin. What I like is that the design of these bags are classic, elegant and timeless, for a very affordable price. They also offer made to order services and can emboss your name or monogram in your bag for as low as P200.00. What is a lady without a beautiful stylish and elegant bag to hold her personal effects? This definitely goes on top of my wish list. 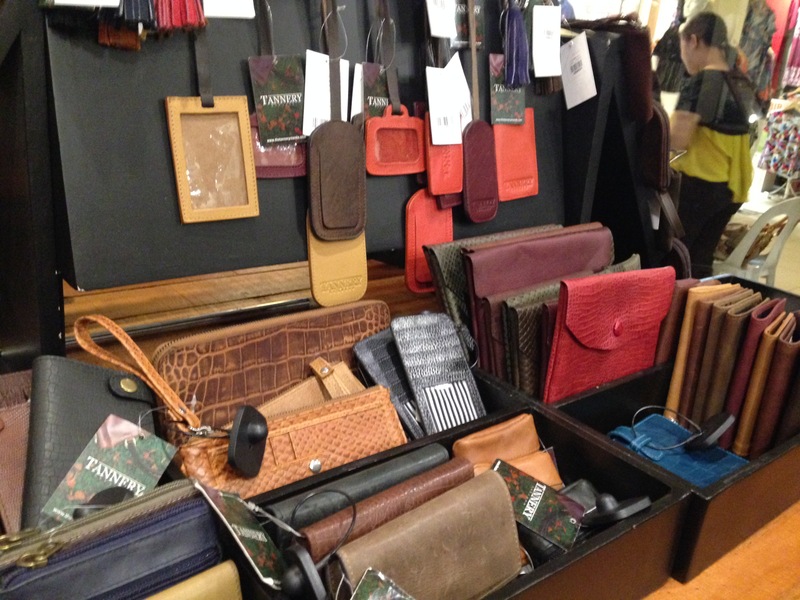 For all you leather enthusiast, they have an upcoming sale on June 20-21 up to 60% off! Don’t miss it! See also contest details below to win free stuff! 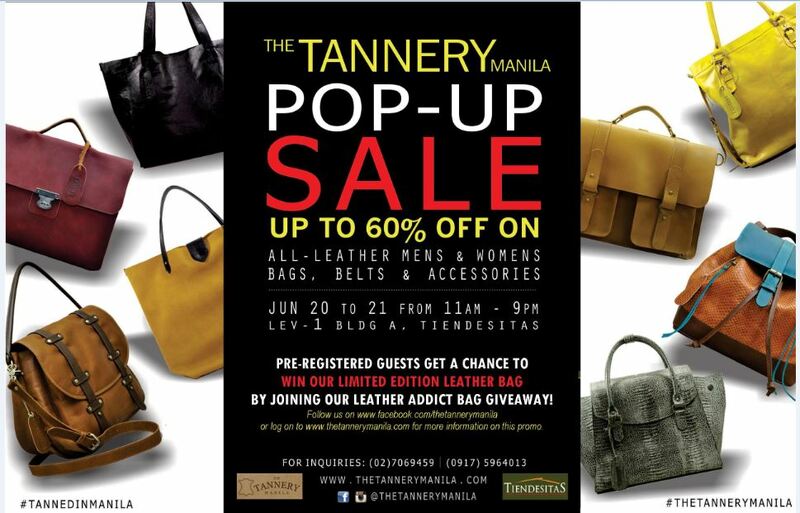 You may email your concern to thetannerymanila@gmail.com or contact them via Tel no. 706-9459; mobile no. 09175964013 or visit their showroom at the 2nd flr., Bldg A., Tiendesitas, Pasig City. 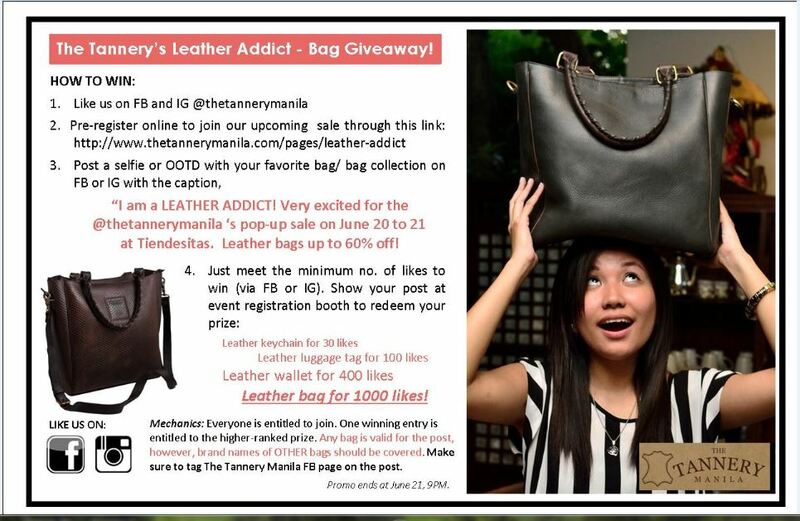 Their website: http://www.thetannerymanila.com. « Have you heard about “The Tannery Manila”?